Ready or not, the Christmas season is upon us in Grey County and those who are more organized than I am will be starting to think about gift ideas for their friends and family. Having worked in real estate for over 10 years now, there is an area that I can offer a little advice on related to the gift giving season and that is useful gifts to give to first-time home buyers. Young or old, the transition to owning and being responsible for your own home can be a daunting one and sometimes you don’t realize what you’re going to need in order to be prepared for anything, until its too late. The items on my list are a combination of things we received from friends and family when we bought our first place and things that we could have used but didn’t own until we had to run out in a panic to buy them! Tool Kit: Whether you’re doing something simple like hanging pictures or something complex like fixing a minor plumbing issue, first-time homeowners will definitely need to build and make good use of a basic tool kit. 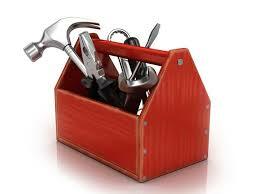 The tools don’t need to be expensive or top-of-the-line, but good tools will last for years. Consider items such as a hammer, hacksaw, pliers, assorted screwdrivers, a selection of wrenches, drill and/or a tape measure. Home Repair Books: I remember being given a Mike Holmes home repair manual right after we got married and moved into our first home. I was like many first-time homeowners and had never replaced a furnace filter much less knew how often it had to be replaced. A good home maintenance and repair book will address a range of issues – from small to significant – provide step by step instructions and usually even include illustrations. It will also help that first-time buyer decide when it’s necessary to call in the professionals for help! 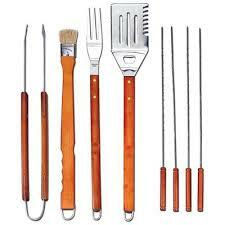 Garden tools: Again, you don’t have to go for top-of-the-line. Most new homeowners will appreciate the basics; a hoe, rake, spade or shovel will help with decent sized yards and gardens but even condo dwellers can use a set of garden tools such as a trowel, terra cotta pots and a watering can for container gardening. Other gift ideas that could be useful in rural areas like ours are pruners, hedge shears, a small chainsaw, extra long garden hoses, and powerful sprinklers. Fire Extinguishers, Smoke Alarms & First Aid Kits: Many newly built homes have smoke detectors hard wired into the home, but older homes will likely require new detectors and alarms and it’s always a good idea to have a fire extinguisher on hand…and a carbon monoxide detector as well. Check with your local fire department to see what current regulations recommend. Safety gifts like these may not be glamorous but they’re often overlooked until it’s too late. Ladder: I never realized I’d need a ladder as often as I do. From painting to hanging Christmas lights to cleaning out the eaves every fall, a lightweight but sturdy ladder is a necessary item for home owners to keep in their garage or shed. You can only borrow your in-laws stuff so many times before it becomes inconvenient for everybody! Ceiling Fans: Unless their new home comes with Central Air, a first-time home buyer would gladly welcome a ceiling fan as a great way to circulate the air in any room and help to reduce heating and cooling costs all year long, something we’re all trying to do these days. We recently got Central Air installed but still have a ceiling fan in each bedroom to help get through the dog days of summer and keep the air moving during the colder months. And with so many styles and varieties available, they can be a great way to add a personal touch to a new home. For the Bathroom: With so many big things to think about, the bathroom can house some of the most overlooked items in a new home. Someone’s aunt or grandmother will remember that the new home owner(s) will need towels, but did anyone think of things like a shower curtain liner and rings? A shower rod? A plunger? A really absorbent bath mat (so water splashed on the floor won’t eventually cause moisture problems)? Again, not fancy or exciting, but necessary and a first-time buyer may not even realize that they might not be left behind by the seller. Live plants: A few plants or flowers can add a little life to empty shelves and corners in a new house and help it to feel more lived-in. 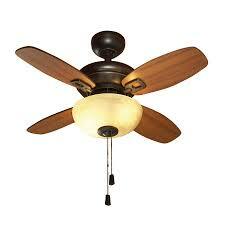 Plus, they help to purify the air and brighten your home during the dreary winter months. Large, bushy plants (live or artificial) can easily fill an empty corner and truly challenged gardeners can try cactus or succulents, which require very little care. 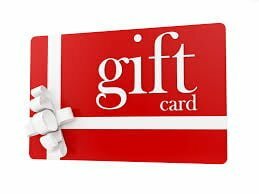 Gift Cards: Looking for a sure-fire way to provide something that your new home owners both want and need? Consider giving a gift card to a place like Ikea, Wal-Mart, Home Depot or Canadian Tire. Each of these stores allows a first-time buyer to browse a wide range of items in an equally wide price range and avoids the need for a return or exchange during the after-Christmas sales. 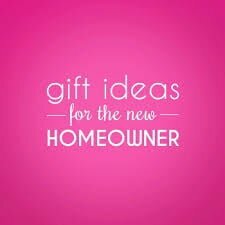 Whether they’re decorating, making repairs or slowly filling empty rooms, a gift card allows the receiver to choose the items they most want and need; and a first-time home buyer will have a long list of both!